Movistar Team has announced the signing of Sheyla Gutierrez. 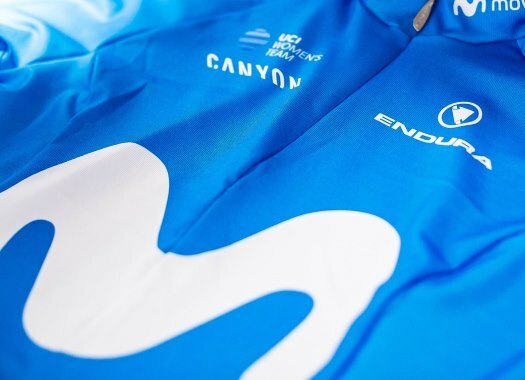 The rider will be at the Spanish formation for the 2019 season after being three years at Cylance Pro Cycling. Gutiérrez has a palmares that includes a stage victory at the Giro Rosa and wins at races like Le Samyn, the Tour of Zhoushan and the Panorama Guizhou Road Race, as well as at the 2017 road race of the Spanish National Championships. "I come back home and I'm very much looking forward to this new project," said the rider to Spanish news agency EFE. She also commented that the 2019 calendar with Movistar is "one of the reasons why I decided to take this step." The rider plans to finish the recovery from the accident she had at the beginning of last June when a car caused her to crash during a training ride, and that has caused performance problems at the second half of the season. "I had more offers and that is why I had a hard time deciding, but I chose Movistar to keep growing. "I know they are doing a big bet on me and I will work hard to meet the expectations."